Welcome to Practical Data Science with Hadoop and Spark, where you can ask questions about the book and examples. By visiting our website you agree that we are using cookies to ensure you to get the best experience. More information and to buy a copy: InformIT, Amazon, Barnes & Noble. Thank You! Oops! See the Errata for any updates or corrections. As adoption of Apache Hadoop and Spark accelerates the enterprise and beyond, there's soaring demand for those who can solve real world problems by applying advanced data science techniques in Hadoop environments. 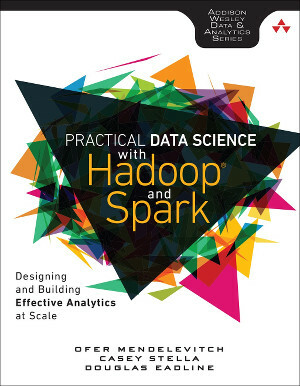 Now Practical Data Science with Hadoop® and Spark provides a complete and up-to-date guide to data science with Hadoop: high-level concepts, deep-dive techniques, practical applications, hands-on tutorials, and real-world use cases. Drawing on their immense experience with Hadoop in enterprise Big Data environments, this book's authors bring together all the practical knowledge you'll need to do real, useful data science with Hadoop and Spark. "Despite the surge in data science related programs (more than 100 in the US alone), universities and colleges cannot produce data scientists fast enough to meet the business demands." "International Data Corporation (IDC) predicts a need for 181,000 people with deep analytical skills in the US by 2018 and a requirement for five times that number of positions with data management and interpretation capabilities." Practical Data Science with Hadoop and Spark is designed to address this need and provide a practical jump-start into data science with Hadoop. 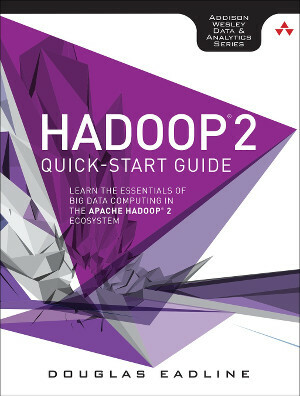 If you are new to Hadoop, check out the Hadoop 2 Quick-Start Guide.